My Domestic Monastery: Five Favorites! I'm happy to join Hallie and friends today for Five Favorites! I'm going to go with my five favorite Catholic toys for kids. These are my "money and time are no object" dream catechetical toys for my littles (and my godchildren!!). This one is from Our Catholic Corner etsy shop. It's actually pretty reasonable priced. I'm itching to start Catechesis of the Good Shepherd with Little Baby and Sister Stinky...so something like this would be wonderful for a home atrium!!! Everything from St. Luke's Brush! Even more appealing is the fact that this shop supports a single mother raising 11 children by herself! My dad, the beloved "Dzia-dzia", is actually the one who introduced this one to me. 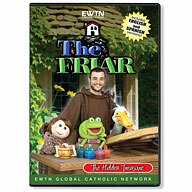 It's kind of like a Catholic Mister Rogers/Sesame Street, made in Spain (so you can't watch their lips too closely or you can tell it's dubbed). But it's phenomenal! It moves a slow enough pace for little ones to follow along, and is the kind of soothing but fun show you crave when you're a little kid. 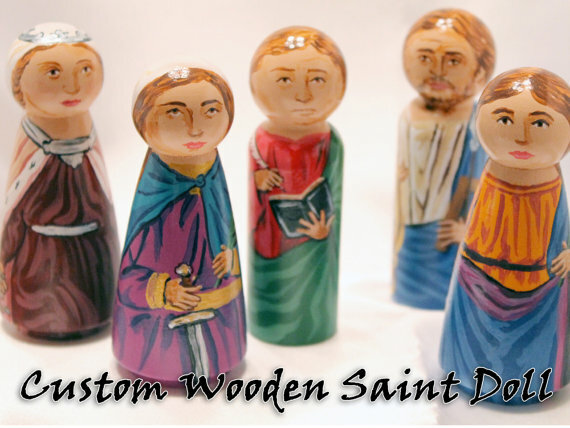 As far as I know, nothing like this is sold online...but you could probably even buy or make a normal Waldorf doll and dress it up like a saint! I just love how soft and cuddly these dolls are. 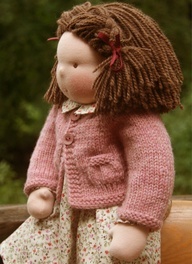 I tried to making some small Waldorf dolls last year but my technique could still use a lot of work! I couldn't get the picture for this...but I'd love all the catechetical fabric off of spoonflower. Doesn't that look like fun?? 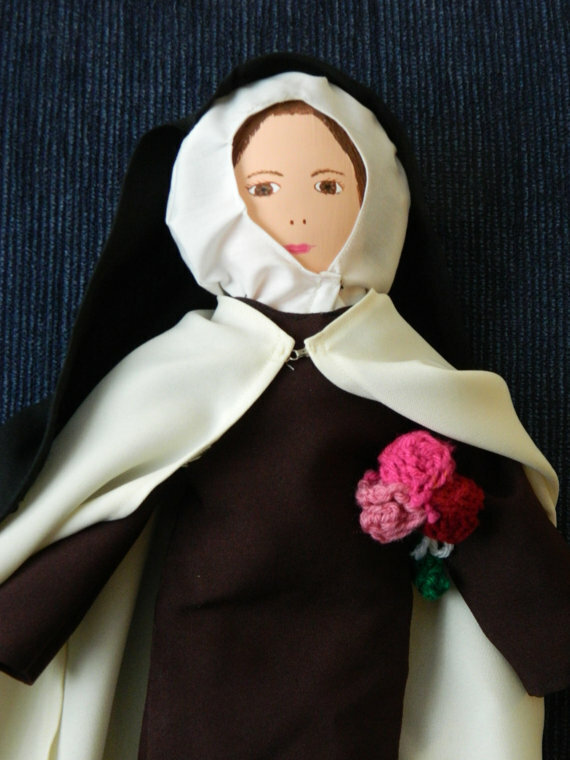 Do you have any favorite Catholic toy recommendations? I could go on forever! 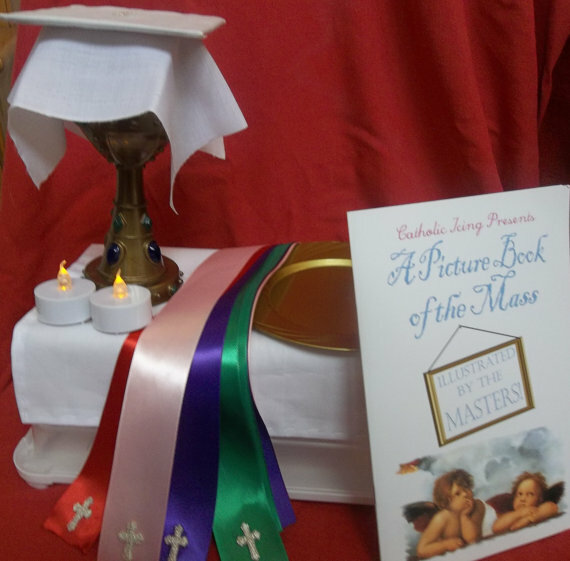 I invested in the Our Father's House Mass Kit years ago and it's proved worth every penny! If you can swing it, I highly recommend it. I can't wait to check out your other favorites. Thanks so much for joining in! Good to hear! I definitely hope we can get it in the budget at some point, or at least some of the individual pieces! My Kiddo loves The Friar (so do I!). Someday when we have the money I'd LOVE to buy Our Father's House Mass Kit too. You are right up my alley on this stuff. 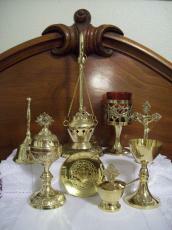 I've had my eye on that Our Father's House Mass kit for eons. I'm thinking Christmas gift for his second-grade year, and it'll be the ONLY thing he gets ... from us and the grandparents. Lame? It isn't possible for lame and Mass kit to be said in the same sentence ;-) I think any little kid would LOVE it! I know when I used to help out in a Catechesis of the Good Shepherd atrium the kids loved the Mass kit so much! !